Liverpool left back Andy Robertson has spoken about the importance of the upcoming Champions League Clash with Bayern Munich. Whilst talking to The Daily Mail, he has said that he expects the Reds to be at ‘full throttle’ when they come up against the German powerhouse on Tuesday evening. 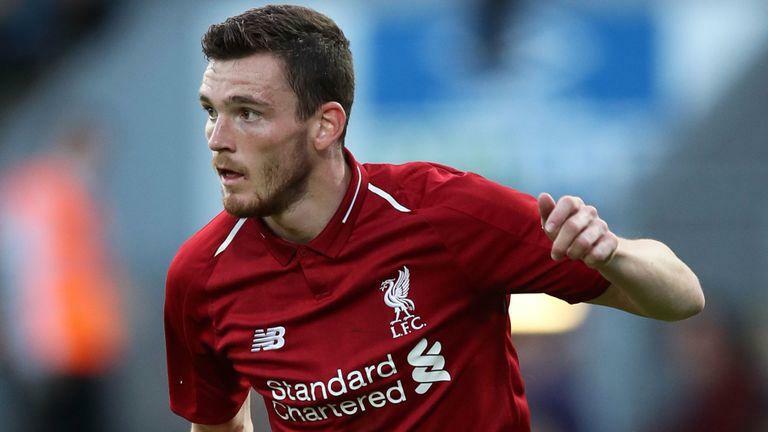 Robertson believes that the warm weather camp will have allowed the squad to ‘recharge their batteries’ to be able to head into the Last 16 fixture well prepared. Anfield has become a fortress recently, with the Reds not losing at home in the UCL since a 3-0 defeat to current champions Real Madrid in 2014. The Crowd is often seen to be the 12th man for the Reds and Robertson has spoken about the importance of this. Jurgen Klopp will be hoping that his players are able to gain an advantage against the German champions in the first leg, before they travel to Munich, which is sure to be a difficult second leg. ← Star with 12 Goals This Season Has "Goal to Play for Liverpool"